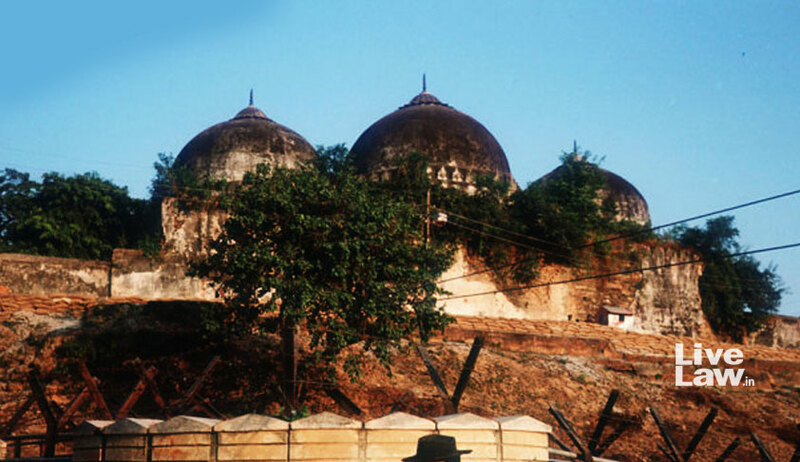 On Friday, The hearing in the string of appeals against the 2010 verdict of the Allahabad High Court in the Babri Masji-Ram Janmabhoomi dispute resumed before the Supreme Court, with the respondents placing reliance on six quintessential Hadith collections and two other religious authorities to put to rest all doubt regarding the position of a mosque in Islamic law. It may be noted that on previous occasions Senior Counsel Rajeev Dhavan, for the Sunni Waqf Board, has pressed for a reconsideration by a larger bench of the 1994 apex court judgment in Ismail Farooqui in as much as it observes that a mosque is not an essential part of Islam and that the namaz may even be offered in the open. The reference to the contents of Hadith no. 521 ‘Sahih Muslim’, when the bench of Chief Justice Dipak Misra, Justice Ashok Bhushan and Justice Abdul Nazeer asked Dr. Dhavan if he had any objections to the same. “The point of my argument was that in determining whether a religious practice is an ‘essential practice’, the tenets of the religion have to be examined...the observations in Para 82 (of Ismail Farooqui) have been made without any such Examination and are not backed by any authority...whether such exercise has been undertaken or not is for consideration by the Constitution Bench...if it has not been undertaken, then the judgment is in violation of all precedents from Shirur Mutt [the seven judge bench judgment in The Commissioner of Hindu Religious Endowments, Madras v. Sri Lakshmindra Thirtha Swamiar of Sri Shirur Mutt (1954)] onwards...”, responded Dr. Dhavan. “Merely because reasons for the observations have not been recorded cannot be a ground for the reconsideration of the judgment...so has been held in many judgments of this court...”, came the interjection from the respondents’ side. “You are justifying para 82...we should first hear Dr. Dhavan as to which observations are bad”, noted Justice Nazeer. Continuing with his submissions, Dr. Dhavan discussed the 1994 judgment, in so far as it has been held therein that a place of worship of any religion must have a ‘particular significance’ for that religion to make the offer of prayers there an ‘essential or integral’ part of the religion. He juxtaposed the observation with that of a three judge bench in Sri Adi Visheshwara of Kashi Vishwanath Temple v. State of UP (1997), wherein the apex court had ruled that in determining whether the particular matters of religion or practices or belief are an integral part of the religion, It must be examined if the practices or matters are considered integral by the community itself and not be governed solely by the concept of essentiality. Thereupon, Dr. Dhavan cited the Supreme Court judgments in Sri Venkataramana Devaruand v. State of Mysore (1957), wherein the ban on the entry of Harijans into a temple of the Gowda Saraswath Brahmins sect was held to be an essential practice, and Durgah Committee, Ajmer v. Syed Hussain Ali (1961), where Justice Gajendragadkar had, upon Examination, come to the conclusion that the Khadims of the tomb of Hazrat Khwaja Moin-ud-din Chishti of Ajmer could not be said to be an integral part. “Mosques are not built for fun...you have to analyse the tenets, beliefs and practices...why do Muslims go to the mosque on Friday? Islam is a congregational religion...Mr. K. Parasaran (Senior Counsel) applied the pilgrimage test, that Muslims have to go for pilgrimage outside India while Ayodhya is in India...this, in my view, is not correct as it amounts to distinguishing them from the Christians and Jews who are outside of India and come here on pilgrimage...”, he argued. “You can go to the church any day of the week, but the Sunday prayers in Church are a practice. Would one say it is not?...The Good Friday prayers also take place in the Church...If the congregational part of Islam is taken away, a major part of the religion would collapse and the mosques, which are for offering prayers, would become futile...the ‘particular significance’ observation is a sweeping statement without any backing...”, he continued. When Senior Counsel C. S. Vaidyanathan intervened to say that the observations in Para 82 of the 1994 judgment have not had an effect on the 2010 trial court judgment and that any reference to it only appears in the submissions of the counsel which were recorded by the judges, citing the principle of res judicata, Dr. Dhavan indicated relevant portions of the judgments by the High Court judges, Justice Sudhir Agarwal and Justice D. V. Sharma, to show how Ismail Farooqui had permeated the same. “While Justice Sharma said there is no case, the other two (Justices Agarwal and S. U. Khan) partitioned the land into three shares...I say this was like a Panchayati decision...if we had no case at all, why were we given a a tertiary share?”, he commented. “My right to the land is germane to whether mosque is an essential part of the religion or not...the basis of the appeal by the Hindus is the interpretation of Articles 25 and 26 in Ismail Farooqui...but that judgment does not state that the suits were to be decided as per it even though it had an overpowering effect on them...”, he elaborated. “This is an ipse dixit that has ruined the case of mosques in India...the Supreme Court said the prayers on Friday are meaningless...these are not abstract, but reals questions of delicacy that go to the roots of a religion...look at the Gowda Saraswath case...untouchability used to be an important faith...the core was that you could not enter into the inner sanctum Of the temple...”, advanced Dr. Dhavan. Thereupon, he proceeded to quote from religious texts that prayer in congregation is a necessary duty for every Islamic subject to four exceptions, and that there may be no ‘Itikaaf’ except in a congregational mosque. When he narrated that ‘the prayer of a man in congregation is 27 times more virtuous than performing prayers individually’, On the Hindus’ side, it was contended that as per the Hadith, even two people may constitute a congregation. It was submitted that ‘the Prophet has said there is only one House of Allah, that is the Kaaba...others only places of worship...only the former is essential and integral’. Besides, it was advanced that as per the texts, only the mosques at Mecca, Medina and Israel are essential. Reliance was placed on N. Adityanath v. Travancore Devaswom Board (2002), wherein it was considered whether the appointment of a person, who is not a Malayala Brahmin, as "Santhikaran" or Poojari (Priest) of the Temple in question Kongorpilly Neerikode Siva Temple at Alangad Village in Ernakulam District, Kerala State, is violative of the constitutional and statutory rights of the appellant. “It has been held by this court that the Nathdwara temple is the most important temple in Rajasthan...Ismail Faruqui does not say that temples are more important than mosques...hence, no reference is needed”, it was argued. On Friday, the discussion also veered into whether the observations in Ismail Faruqui were for the limited purpose of acquisition or by way of General principle. In his turn, ASG Tushar Mehta, raising the ground of limitation, argued that the party which comes belatedly and without bonafide will not be heard. “No one questioned Ismail Faruqui when the suits were pending...the application for reference was not even made in 2010 when the first appeal before this court was made...for 8 years, the appeals have been pending...when all translations have been made and all evidences compiled, suddenly this attempt is made to avoid judicial adjudication...”, he advanced.